Even though I was born in a tropical country and spent my childhood years there, fish was never a part of our weekly menu at home. This is because we lived in Medellín, a city located in the Andes mountains, so buying and making any type of seafood was very expensive especially because my family was always very poor. 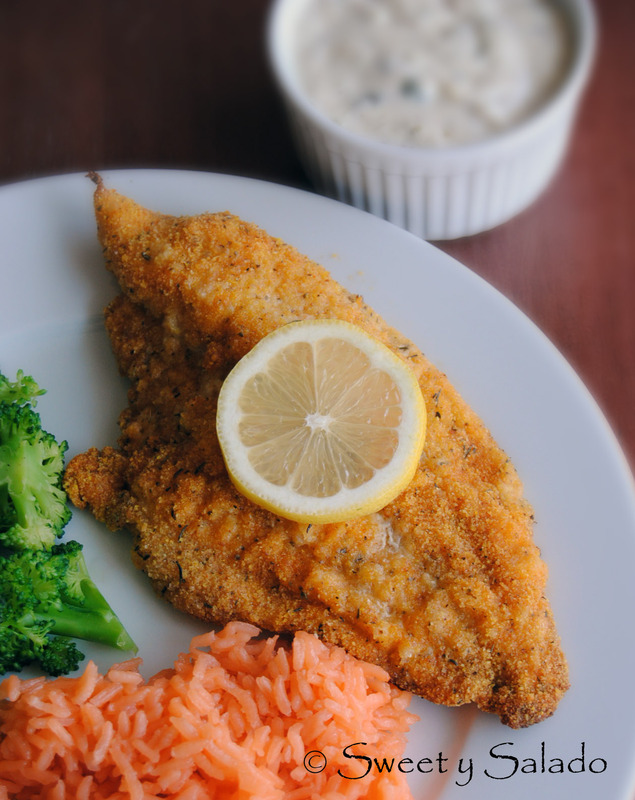 Every now and then my mom would try to make trout during Holy Week because we would all get tired of eating eggs, but I never liked it because she would always fry it, which is something that is very common in Colombia. Now that I’m adult I try to make different seafood recipes, either using fish or shrimp, at least once a week. And since I only make fried food during Christmas given that it’s a special time of year, I like to find different ways of making it to give it that crunch without using too much oil. 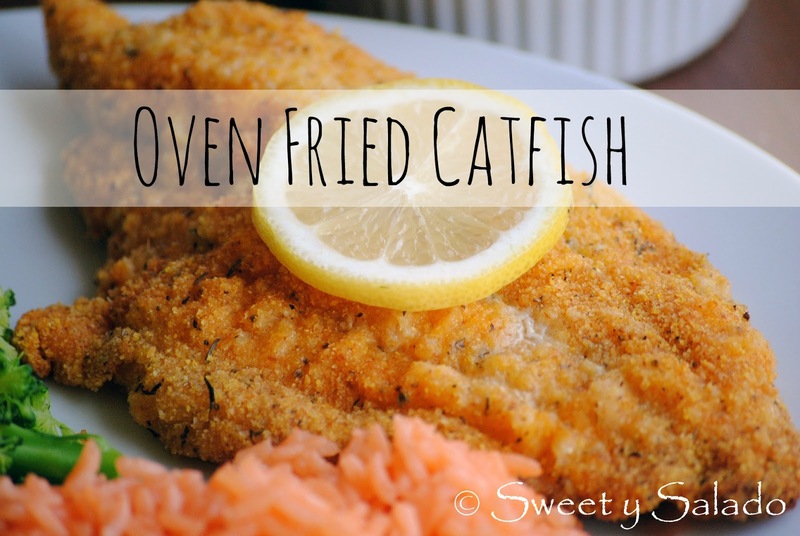 When I found this recipe to make oven fried catfish I was very skeptical because I never thought it would have the same texture, but boy was I surprised when I tasted it and didn’t see a difference. The cornmeal used to bread the catfish is what makes this recipe unique because it is made for baking and breading without having to fry anything at all. 1. In a shallow pan mix the first 9 ingredients. 2. Beat milk and egg in a medium or large bowl. 3. Cover a flat baking pan or cookie sheet with nonstick aluminum foil. 4. Dip each catfish filet in the egg mixture, make sure it is well covered. Then cover it with the cornmeal mixture covering both sides of the fillet. Place on the baking pan. 5. Spray each fillet liberally with the cooking spray until wet. 6. Bake at 425ºF (220ºC) for about 15 minutes and serve immediately.